Apart from the new equipment manufacturing, REDOR Sp. z o.o. also repairs its own mixers and drive units and those produced by others. 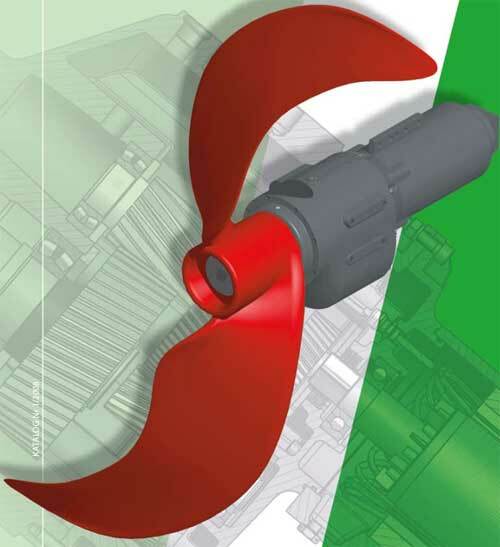 The complete drive unit manufacturing cycle takes place at REDOR Sp. z o.o. company which has the appropriate machinery park, measuring laboratory, heat treatment centre, assembling stations and testing station. We have our own construction office. In order to adapt our offer to more and more demanding clients, it is possible to make special versions for specific applications based on the series of types. Our long experience in mixers design and exploitation and the latest achievements in fluids mechanics and sealing technology for sewage works devices production allows us to offer the highest class devices and which will meet all client's demands. The work is carried out in accordance with the PN-EN ISO 9001:2001 Quality Management System. 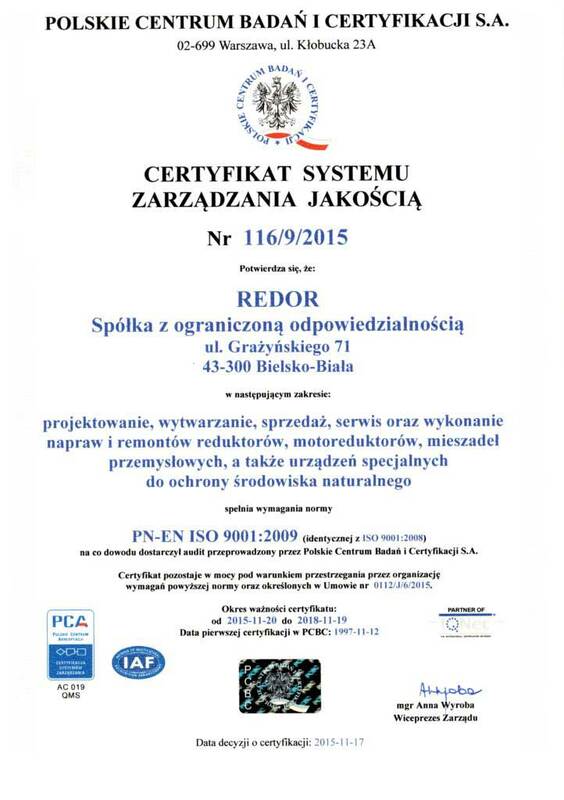 We owe also Certyfikat Firma Przyjazna Środowisku [Environment Friendly Company Certificate] given by the Relectra Repack Rebat and Certyfikat GreenEvo-Akcelerator Zielonych Technologii [GreenEvo - Green TechnologiesAccelerator Certificate] given by the Ministry of Environment.